Jean-Paul Lellouche received his diploma of Engineer in Organic Chemistry from the EcoleSupérieure de ChimieIndustrielle de Lyon (ESCIL, Lyon, France) in 1978. Thereafter, he joined the Commissariat à l’ EnergieAtomique (Gif-sur-Yvette, Saclay, France) to earn his PhD degree in 1981 (multi-step syntheses of 14C-/3H-labeled organic molecules - radio-isotopic chemistry field). In 1997, he moved to Israel to the Ben-Gurion University of the Negev (BGU, Beer-Sheva, Israel) as an Associate Professor in Organic Chemistry (Guastella fellow stipend from the Rashi Foundation). 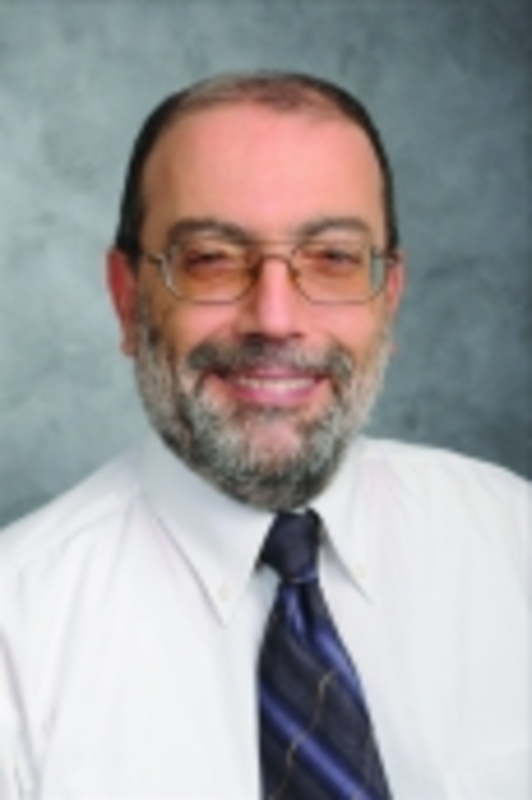 Having joined the Department of Chemistry of Bar-Ilan University since October 2000, he was recently nominated as a Full Professor in Organic Chemistry/ Nano(bio)technology in July 2008. Having a very strong record in multi-step organic synthesis, he is currently developing nanofabrication methodologies based on pyrrole/carbazole/thiophene-based conducting polymers (CPs) and related nanosized composites as well as on functional nanoscale colloids for diverse bio- and immuno-sensing applications. His current R&D activity includes R&D developments at the cutting-edge Materials Science level interfacing with nano(bio)technology such as the fabrication of (i) magnetite-CP nanocomposite particles (gene silencing), (ii) core-shell silica-polypyrrole/carbazole particles as nanofillers for mechanically hard sol-gel/polymeric materials/matrices), (iii) polycarbazole/hybrid silica (h-SiO2) particulate systems for drug delivery, (iv) carbon nanotube/graphene-CP composites for improved solar and fuels (membrane nano-structuration and percolation/charge diffusion control), and of (v) various photo-reactive inorganic nanoparticles for the fabrication of innovative nanoscale catalyst particles (renewable energies). He has authored 308 scientific publications of all types in organometallic, organic/fluorine, and materials science chemistries/engineering among which:106 publications accepted in peer-reviewed international journals, 54 scientific reports amongst which 40 confidential internal reports (period: September 81-October 85), 13 patents, and 79 communications to seminars/congresses, as well as 69 invited seminars. He instructed31 MSc and 15 PhD theses that were defended at the University (10 PhD theses currently onwards), and participated in the education of 17 post-doctor fellows including 3 technical assistants.